Last week the prime minister announced the government will abolish the cap on councils’ borrowing against housing revenue accounts. While Local Government Association chair Lord Porter (Con) anticipated councils could build 100,000 homes a year next parliament, the Ministry of Housing, Communities & Local Government has given a more conservative annual figure of 10,000 without specifying the date by which this can be achieved. 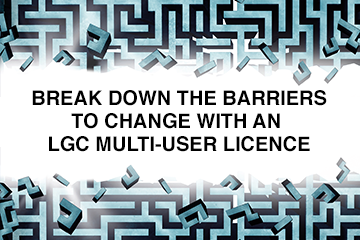 However, LGC understands the ministry has no intention of imposing an upper limit. A source close to James Brokenshire said: “Local government has been asking for the HRA cap lift for some time and the secretary of state and the prime minister understand the need to use all the tools at our disposal to build the houses our country needs. There is some confusion about exactly when councils will be able to start taking advantage of the increased flexibility to borrow. However, there is an assumption within the ministry and 10 Downing Street that this should be allowed to happen sooner rather than later. Scrapping the borrowing cap should not require new legislation and may be legally enacted through a notice of determination instead. LGC understands that a public consultation will soon follow but the contents of that are not expected to contain a competitive bidding process or any strings attached to the way councils can use the extra borrowing capacity – councils will just have to show they are adhering to the prudential borrowing code. It is hoped the consultation can be carried out and concluded swiftly in order to avoid a huge delay in lifting the cap. More details are due to be announced in the Budget on 29 October. Councils in areas deemed by the government to be in areas of ‘high affordability pressure’ were previously been invited to bid for a share of £1bn extra borrowing to build new homes. LGC understands the successful areas will be notified around the time of the autumn Budget. While lifting the borrowing cap has been broadly welcomed by the sector, concerns have been raised about councils’ capacity to deliver new homes at scale. The government has estimated councils could deliver up to 10,000 additional homes a year, although there are hopes they can build more in time. Paul Seddon, president of the Planning Officers’ Society and head of planning and regeneration at Nottingham City Council expressed fears over “the capacity and skills of councils to deliver great places”. He said: “Nottingham is reasonably along the planning curve here, but for smaller councils it’s going to be tough to find the capacity and to be driving delivery. “I really hope that there are not that many strings and restrictions,” he added. District Councils Network chair John Fuller (Con) said: “Many of the councils with the greatest housing potential are those that surround large cities and transferred their own stocks (those that are registered social landlords) in the last 20 years and thus those councils don’t have HRAs to borrow against.